…the Swedish author and illustrator Elsa Beskow. 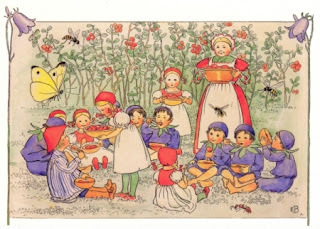 Born in Stockholm in 1874, Elsa Beskow became one of the most well known childrens writer and illustrator, writing stories where reality and fairytales were mixted together. 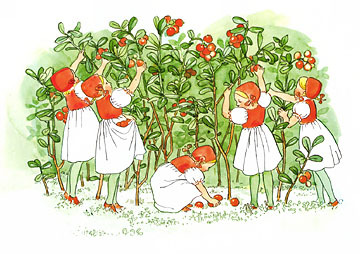 Many of her stories are set in the forest, with characters dressed up like little berries. 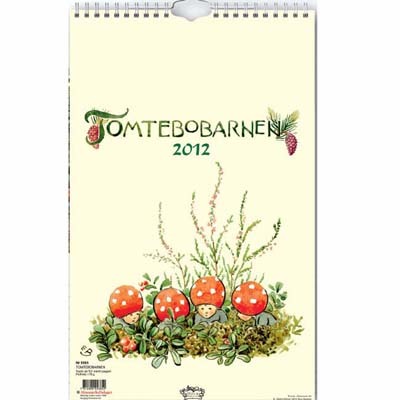 My two favourites are Tomtebobarnen (The Children of the Forest) and Puttes Äventyr i Blåbärsskogen (Peter in Blueberry Land). The stories are so sweet and cozy and the illustrations are absolutely beautiful! It is said that Elsa Beskow took inspiration for her books from her own life and from her sons, and that the stories dealt largely with the child - adult relationship. 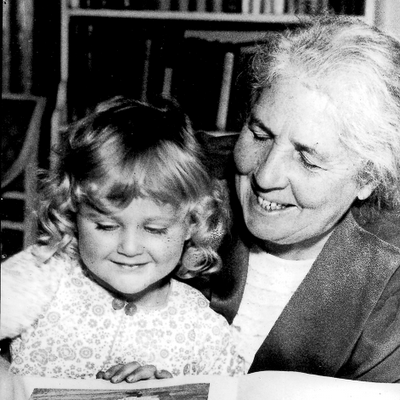 Unfortunately Elsa fell victim to a large amount of criticism, mainly about the gender roles within her stories, as well as being considered as too old-fashioned. None of that matters to me. In my opinion she is a true artist, making beautiful illustrations of the wonderful little world she created. How about you? Do you have a favourite illustrator? She had a very innocent and pureness about her style. It takes me back to my early childhood and some of the books I used to have read to me. There is a lot to be said about the 'old ways' of illustration. As much as I adore digital art, I still have an enormous respect and love for 'old school art'. It's not strange to hear that writers get inspired by their own experiences. Lovely books, it seems like it. Don't you love finding new loves? How cool you found her through a calendar. :) The pictures are beautiful. her illustrations are simply wonderful! I've always been a fan of Shel Silverstein. Thank you for sharing such beautiful photos and prose. I wasn't familiar with Elsa but thanks to you, I am now. Keep writing! And, thanks for visiting my blog. My half-Norwegian mother would love this post! Nice to meet you, and I hope you are enjoying the Challenge! Hmmm, it's hard to pick one favorite illustrator as my kids are small and I have read hundreds of children's books over the years included Berenstain Bears and Little Critter books. I always look for ones with detailed pictures like Beskow's. They are lovely. Hi there! Those books sound so adorable. I love the illustrations. Those illustrations are just beautiful. Thanks so much. The illustrator and writer of Where the Wild Things are. Maurice Sendak. Love the book and the illustrations. 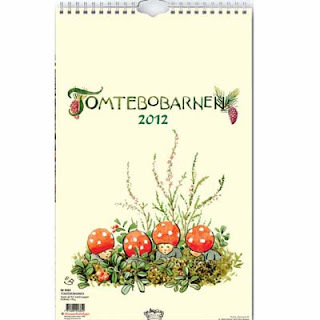 This calendar looks beautiful! Something worth framing. Great illustrations. I am learning so much. The artwork is beautiful. It looks familiar, but I wonder if I'm just confusing it with Cicely Mary Barker's flower fairies. They have a similar feel to them, with kind of a soft watercolor look. I think anyone who illustrates and writes books for children is special. To create an innocent world is an art, and thank you for featuring older people in your photos. I love her illustrations! I'll have to look up her books. One of my favorite illustrators is Maurice Sendeck. The illustrations are beautiful. I want to keep looking and looking at them. Her pix are both whimsical and enchanting. Thanks for bringing Elsa into the light for me. These have an elegant, fairy tale quality, don't they. I can see why you're taken with her. As for a favorite illustrator, wow, good question. I guess I'd have to say no, at the moment. But I do have a style of illustration I appreciate. Have you seen old science books from the late 1800s? Rather than photos, they had meticulously illustrated plates. Stunning stuff. I always marvel at the artistry involved. What a talented lady! Her illustrations are beautiful. Thanks for sharing! Ohhh my grandma has one of her books! It's one my favourites! Her illustrations are a dream. what beautiful photos. Sometimes old-fashioned is nice when you just want a good story. I am so glad I found your blog. These posts are sweet nostalgia for me from my winter 1985 in Stockholm.